Coconut water has been recently increasingly used in our diet. Has the world started looking at coconut water from different angle? For your information, it is worth it! “So what is the use of coconut water?” You ask. I will say that in tropical countries where coconut is available everywhere (where it grows on trees) it has been praised for a long time for its beneficial properties for health. And lately (as I’ve already mentioned), this natural drink has become more and more popular worldwide. Coconut water is experiencing an increased surge in popularity. As a proof, I’ve found an article in one of the foreign resources that now the coconut water in the U.K. is among the most popular non-alcoholic beverages, while the sales are growing. 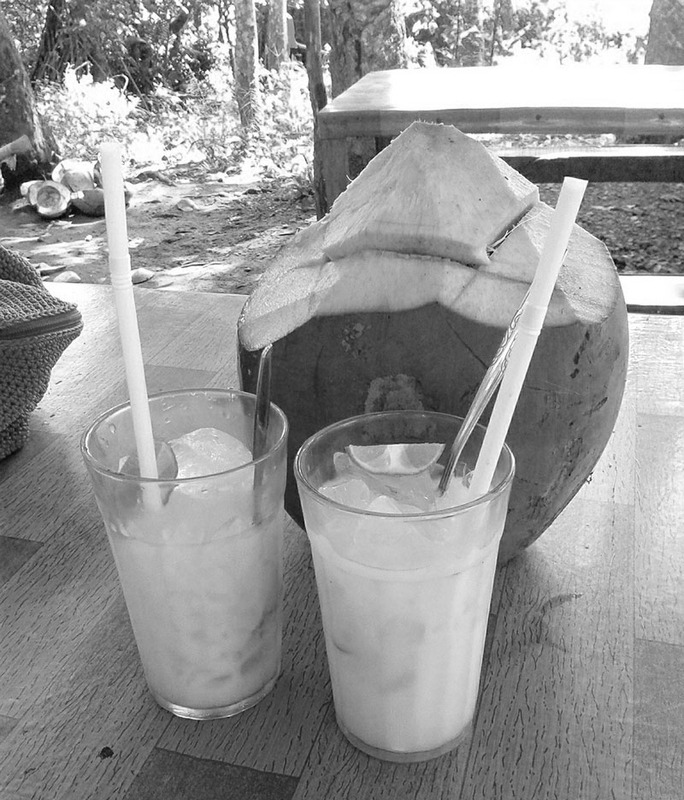 The drink is easily obtained by drilling holes in thick coconut shell. But I, for example, don’t use a drill. I do it in a simpler way … Just take a coconut and find 3 ‘eyes’ on its shell, which are close together. Then, with a knife I make a hole in one of these ‘eyes’- and that’s it. Pour yourself a glass of this wonderful drink. If you want to taste coconut water right now, go to the nearest store and buy it. It seems today they are almost everywhere. Of course, if you want to drink the milk of a young, still green coconut, you’ll have to find a local health food store or order it online. However, not only coconut water is gaining strong popularity. In modern recipes you can often find coconut flour or coconut oil, which do not emit carcinogen when fried and therefore are a healthy alternative to any oil. Yeah, remember? 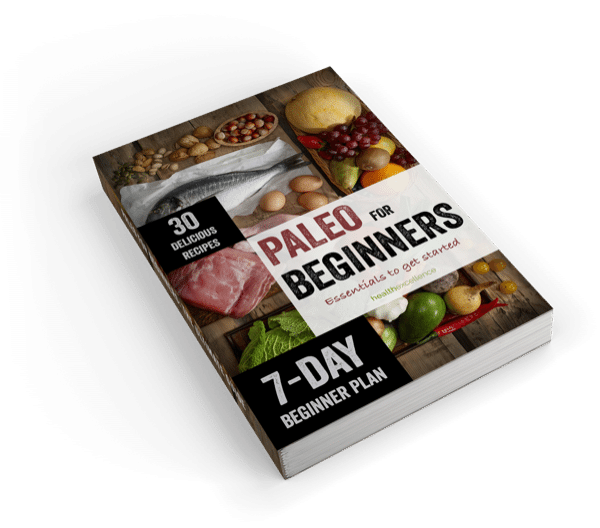 … Recently I have published an article on how coconut oil helped lose 8 pounds. Looking at such a strong popularity of coconuts, yeah … we also love them, I wanted to do some research and share it with you. So what is the use of coconut water? Here is a list of reasons why you should add a glass of coconut water into your healthy diet. Oh, and without any doubt replace your awful sweet and fizzy drinks, which are really killing us, with coconut water. Coconut water is simply packed with vitamins, minerals and antioxidants, which will force your body to function properly. It has even more nutrients than the majority of fruit juices. Coconut water contains amino acids. Coconut water is the source of such elements as magnesium, calcium, and potassium. It also comprises of: – zinc – selenium – iodine – sulfur – manganese – boron – molybdenum Coconut water contains essential amino acids (valine, leucine, isoleucine, methionine, lysine, threonine, tryptophan, phenylalanine). As well as many natural salts. It’s jaw-dropping … you, probably, even have not dreamt about such health benefits…yeah? By the way, if you add Pomegranate to your nutrition plan with coconut water, then it will double boost your health energy. We always strive to follow steps of professional athletes who simply dump money on sports drinks. Forget it, since we only suffer from such poor drinking and then from injuries and other disorders. I know this from the inside, because I’ve seen these errors and repeated them. Remember, coconut water is the # 1 sports drink from our Mother Nature. The reason why the human body needs water not only during workouts is very simple. Water regulates body temperature helps lubricate your joints and at the same time carries nutrients to all important organs and muscles. Due to its moisturizing properties and high content of minerals and nutrients, coconut water is very successfully used in sports and fitness. UN Food and Agriculture Organization (FAO) recommends coconut water as a natural energy drink for professional athletes and amateurs. FAO recommends coconut water as “a pure, fresh, natural and nutrient-rich drink with a delicate taste, which also has the properties of an energy drink.” The scientific analysis, presented at the 244th National Meeting and Exhibition of the American Chemical Society (ACS), showed the data on how the coconut water influences the body during intense physical training. Lauric acid, which is a part of the coconut water, helps fight gastrointestinal infections and normalizes the stomach. Back in the old days, the coconut water was used to treat all kinds of stomach diseases, related to indigestion, constipation, intestinal worms and even dysentery. 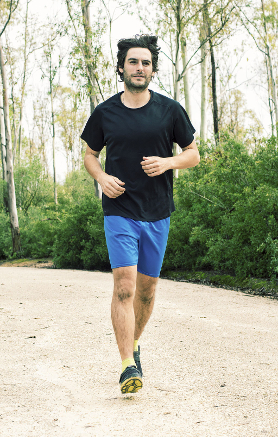 Diuretic is a tool allowing the body to produce the urine more quickly and urinate more frequently. Quite often, pregnant women suffer from urinary tract infections. As a natural diuretic, the coconut water easily removes toxins from the body and thus prevents the development of urinary tract infections. This also applies to kidney stones. Coconut water can help fight them. Yes, many today’s models are big fans of coconut water, so they also make it fashionable. But this is not just trendy. Coconut water really helps lose weight greatly. According to various health-related magazines, coconut water can help in the fight against the female’s enemy number #1 – cellulite. As you know, one of the reasons for its appearance – increased acidity in the body, which is caused by malnutrition. Coconut water lowers acidity by eliminating a number of health problems and thereby improving the skin, face and body condition. The coconut water is also considered to suppresse appetite. Therefore it is often recommended for people maintaining a diet. When you experience stress during the working day, your body and mind react strongly and lead to a general feeling of discomfort. It turns out that coconut water can help relax and relieve your muscles. Coconut water contains some essential vitamins and minerals that are not always present in our standard diet. Some of these, calcium and magnesium, are great weapons to fight stress and muscle tension. And coconut water is an excellent source of both these minerals. Yes, we all aren’t sinless and still sometimes we like to relax with a bottle of beer, a good wine or a couple of excellent brandy liqueur glasses, as it seems to us. But all the same, then we have a headache and feel bad the next day. The hangover is the kidneys’ inability to work properly (they just cannot cope with toxins) after our binge-drinking all night long. So, if you don’t know how to get rid of hangover in a natural way, take a few sips of coconut water. This medication can save you in the morning. Remember, I mentioned celebrities and their attitude to coconut water? That’s why. Coconut water contains cytokinins (hormone stimulating the cells division) that have anti-aging properties. Cytokinins are plant hormones. They regulate the plant growth, development and aging. Coconut water is an important agricultural fertilizer used for some plants such as orchids or traditional Chinese medicine herbs. Contained in the coconut water, they accelerate the cell division, thereby increasing the growth of plants. Coconut water strengthens the immune system naturally. Coconut water strengthens the immune system, in case of colds it acts as antipyretic and anti-bacterial agent. This drink helps the body recover from serious illnesses and after surgical operations. It promotes tissue regeneration and bone healing. Regular consumption of coconut water helps to normalize blood pressure, and, according to some studies, it increases the good cholesterol level in the blood. Coconut water, improving blood circulation, saves us from the ‘bad’ cholesterol and prevents atherosclerotic plaques, cleanses the blood and is an excellent prevention of heart attack and Alzheimer’s disease. Who could imagine that some ‘hairy’ walnut lying on the store shelves, has so many benefits! Yes, of course, according to many sources, the young and green coconut has more benefits than an already ripe one. But it seems to me, even this not the most beautiful walnut will give you much more pleasure and health benefits than those store beverages we drink today. Just buy a coconut, make a hole, put a straw and feel yourself like a tourist on one of the most beautiful beaches in Malaysia, Thailand, Brazil or some other exotic country. If you have enough money, take into account it is not recommended to drink it often, since it contains sugar. Therefore, drink more water and green juices, and of course don’t forget to include the coconut water (you can safely drink one cup a day). 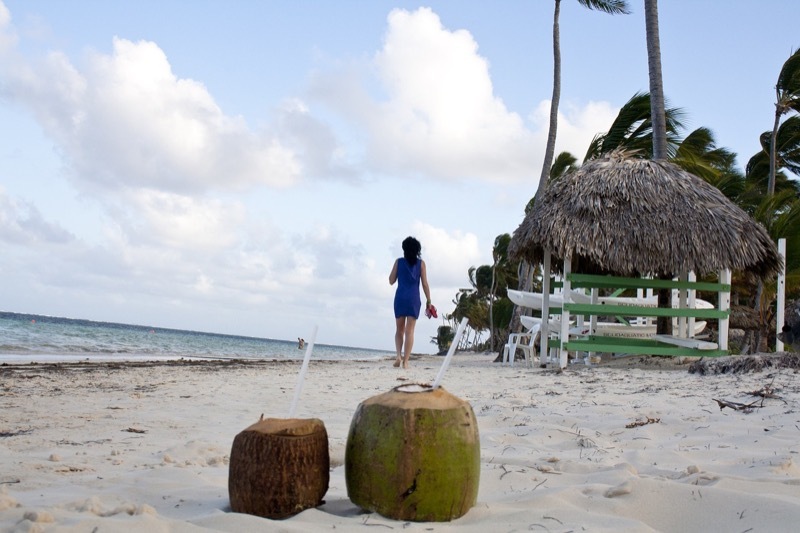 What do you think of coconut water and what would you like to add about it? Let us know more in the comments below! 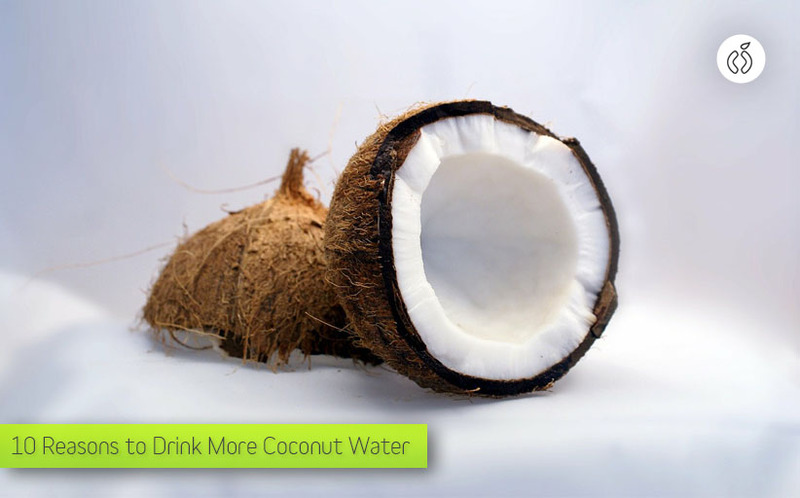 I bet you gonna love this super simple post with the 10 amazing coconut water health benefits. 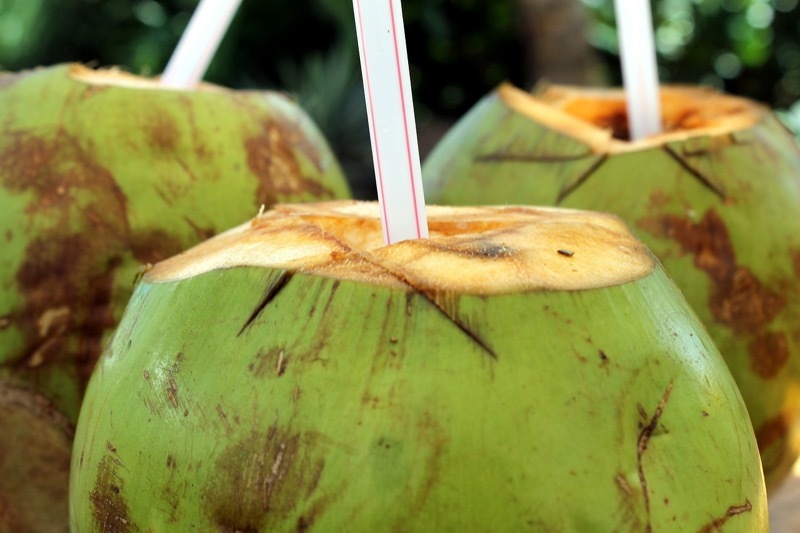 Read on to know, why you need to drink more coconut water.